Trick or Treat? I'd definitely say Treat! Grab your plastic Halloween pumpkin and never Abandon Hope for a full haul! 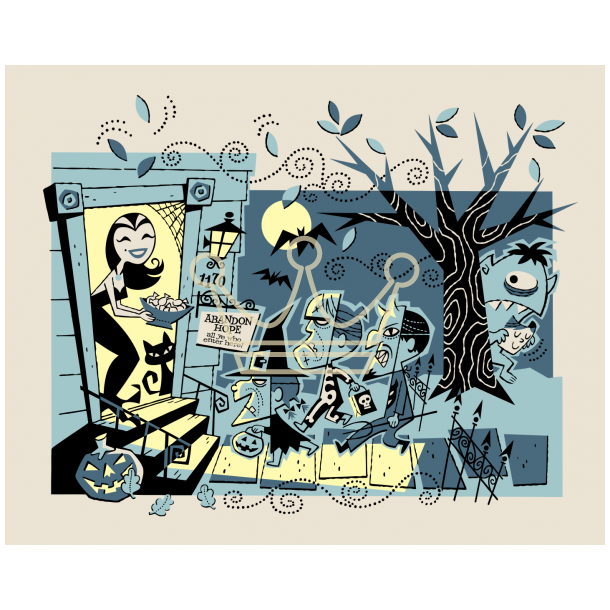 Get this spooky serigraph created by our very own Derek Yaniger! 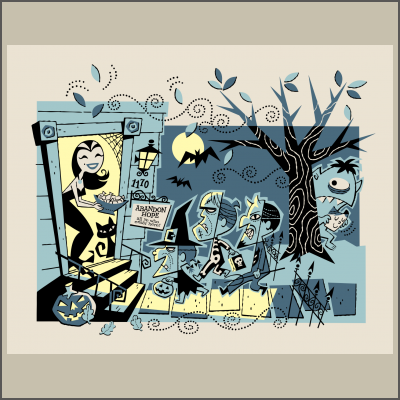 This collectable four color silk screened serigraph is printed on heavyweight archival paper and measures 16" x 20" all signed and numbered by the artist in a limited edition of 100.